Running a successful manufacturing business often means being able to adapt new technology fast to sustain strong competitive advantage. 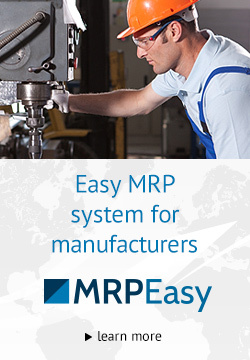 This is a complicated task when it comes to selecting the right ERP/MRP (Enterprise Resource Planning / Manufacturing Resource Planning) software considering a wide range of ERP/MRP software differing in price, functionality, and complexity. This short guide will save your time if you are on a hunt for a new manufacturing ERP or are considering changing your current system that does not answer your requirements. It is true, that there are solutions which can charge hundreds of thousands for a license and implementation, but this does not mean, that small and midsize businesses cannot afford an ERP. However, the chance is high that expensive systems used by big corporations will be useless to SMB’s. How to define the budget? The rule of thumb is to calculate all the costs (both direct and indirect) associated with an ERP for two years of operation. 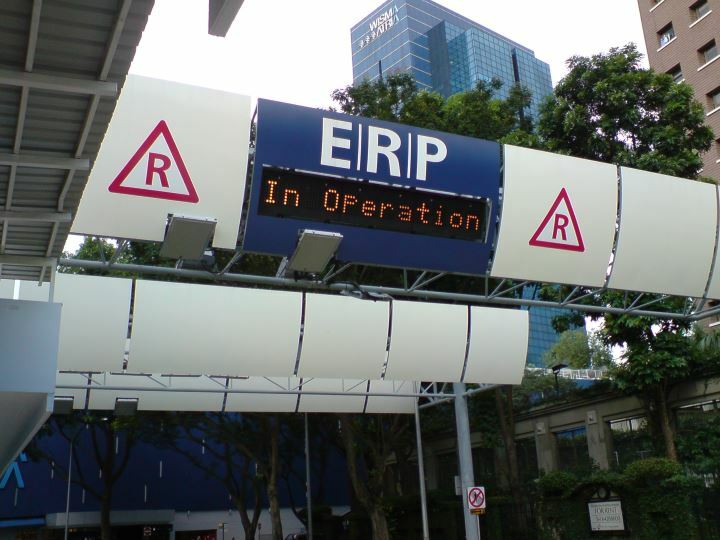 Read more about ERP software cost estimation in our another article. Another variable that defines the budget is the number of expected users, which can be calculated by taking the number of people in your office and adding one additional user per shift. 2. Sticking with monthly (or annual) subscription plan. Both options have cons and pros. For example, on-premises software providers usually offer licensing. If selecting this option, one must be aware, that on-premises vendors often have several fees which are not always obvious at the beginning (setup, software updates, software maintenance, additional infrastructure, customization, support, or privileged support, etc.). Whereas subscription model is popular among Software-as-a-Service solutions where you pay only if you use the software. Usually in this case the pricing policy is more transparent (also means predictable) and also flexible. 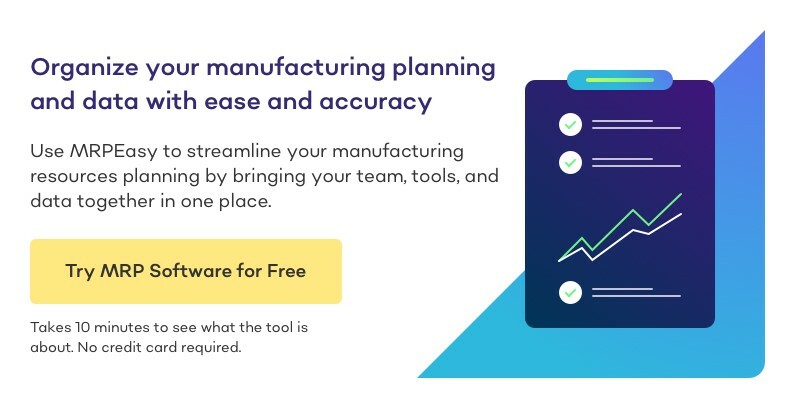 Apparently, if you are a manufacturer then not every ERP will suite your needs and not every ERP claiming to have a focus on manufacturing can offer functionality particularly required in manufacturing, such as production planning and scheduling and equipment load charts, as an example. No one knows your business as well as you do, so think of functions which are of primary importance for you, make a list and start searching for a manufacturing ERP which meets these requirements. You can also put down some good-to-have features (like integration with the accounting software you already use) – these will help you out when you already have a list of candidates offering the same main functionality. When you follow the steps above, then you will get a list of 4-5 ERP vendors which answer your basic needs in terms of main functionality, platform and pricing model. Now this list should be brought to 2-3 options at most since this is the most reasonable number in terms of time resources spent for evaluation. To filter out the companies that are not worth your time, contact each software provider with questions regarding functionality or similar and evaluate their speed and quality of response. Remember, this will be your strategic partner for several years and slow communication already from the start is not a good sign. Now that you have a final list of 2-3 candidates for becoming your next new and shiny ERP system, you should try them out first. Unfortunately, this is not always possible if we talk about on-premises systems, but the most cloud/SaaS solutions offer a free demo. When testing the software try to make a simplified emulation of your product’s production process which covers the use of features that are crucial to your business (test task). After having tried to fulfil this task with the remaining ERP software vendors, you should have a clear winner and your next partner. Assuming, that you have selected the software that seems to answer all your requirements and meets your budget, be prepared that you will have to adapt your business processes to a certain degree. However, you might still find that some important functionality is missing or is not working the way you expect, and changing your business workflow is not an option, then make sure that your vendor offers customization. Knowing this in advance will help you better understand if the provider is flexible and what is the software TCO (Total Cost of Ownership).